Today, while trying to finish the Kalimador Tamer achievement, I ran through Sithilus. Hey, while I am here, AQ, maybe I'll get one of the insect tank mounts. Yeah! 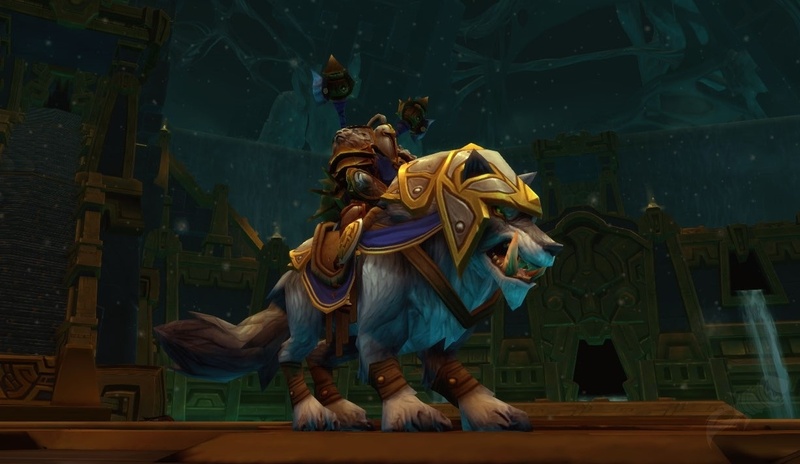 First trash, I get the mounts! Blue, green and yellow!! Woohoo! So I log out and hop to my warlock to grab my screenshot and then I saw the flavor text. 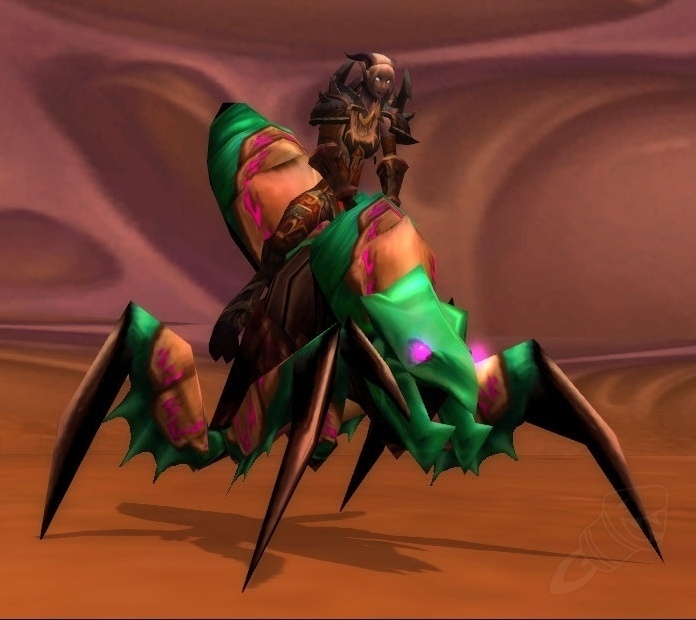 This (relatively) domesticated silithid is at home only in the desert sands of Ahn'Qiraj. Except you can be stylish when farming for the pets in there!